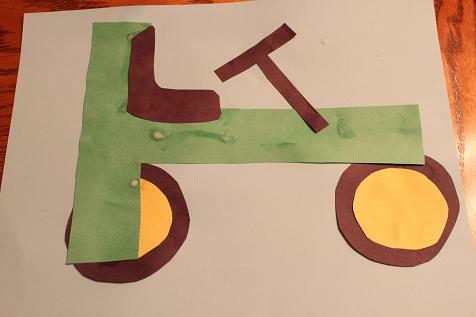 T is for Tractor from Totally Tots. 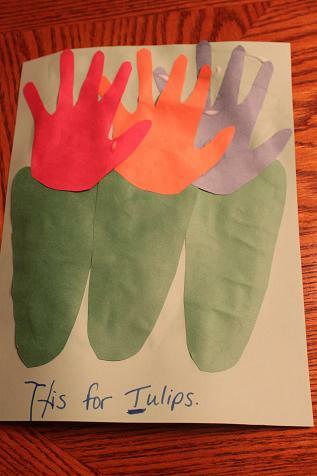 Tt is for Tulips using hand and footprints. 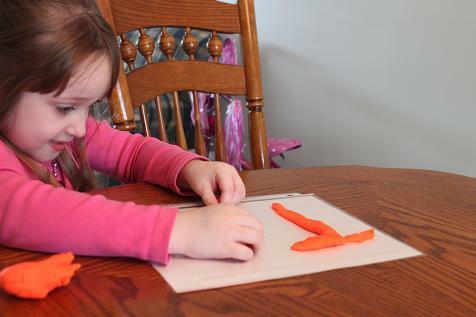 Making a T with the playdough mat from Homeschool Creations. 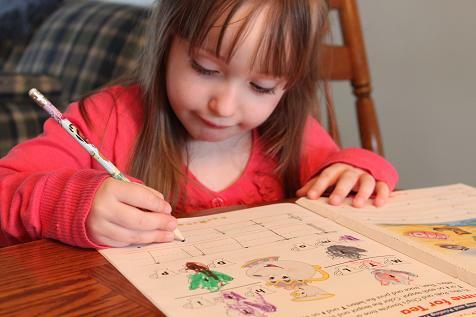 Practicing writing T in her princess workbook. 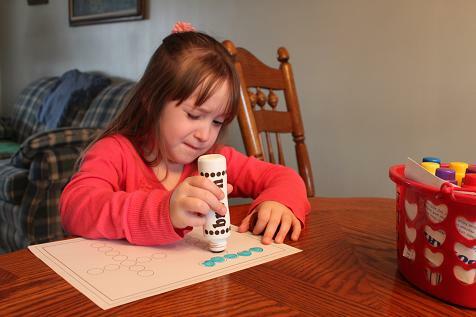 Do-a-dot letter T from Confessions of a Homeschooler. Hailey showing off her verse that she colored. She memorized her verse and we talked about the 10 commandments this week. Every time Rich or I did something she didn’t like (for example told her to do something she didn’t want to do) she would tell us we were breaking one of God’s rules. 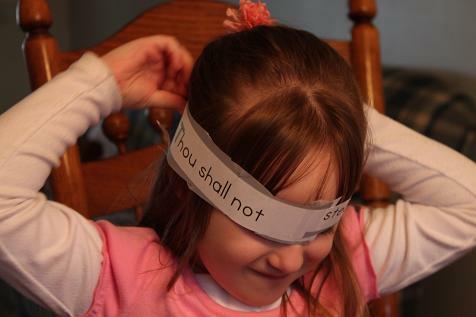 Of course we would remind her of the Honor Your Father and Mother commandment. 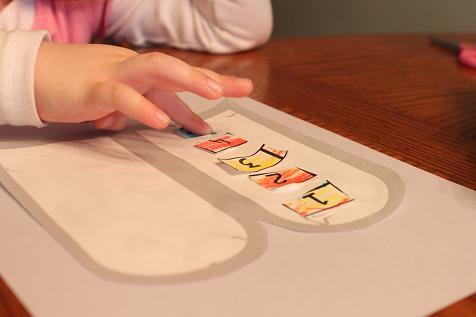 Cutting out her letter T vocabulary words. 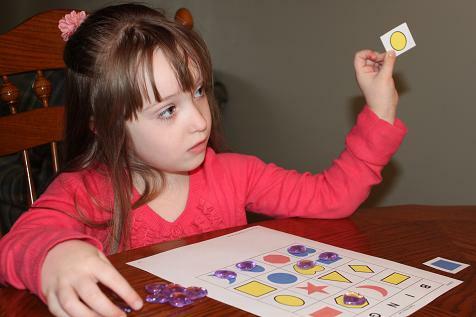 Showing off her sight word she colored (find sight word printables here). 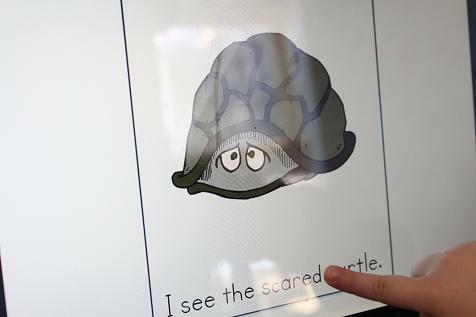 Using power point from RRSP and reading the sentence. Checking to see if her verse would fit around her head. 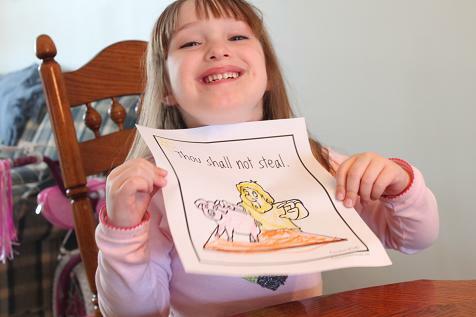 Doing her 10 commandments craft. 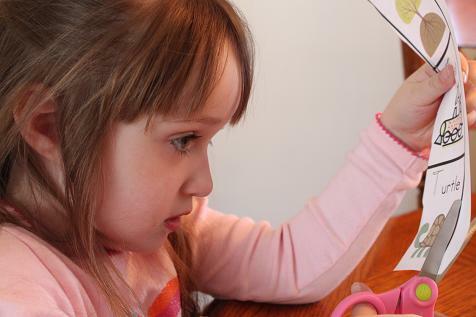 Finding the word “the” (her sight word) in her Sight Word workbook. Calling out the shapes during Shape Bingo that I made using DLTK’s custom Bingo cards. 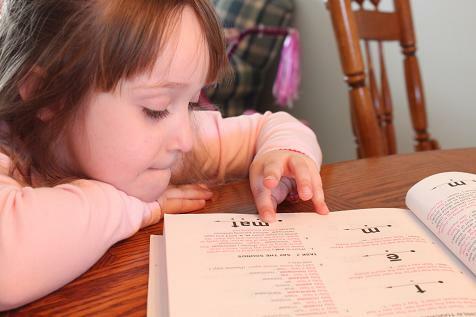 We are using “Teach Your Child to Read in 100 Easy Lessons” and Hailey was sounding out the word mat. 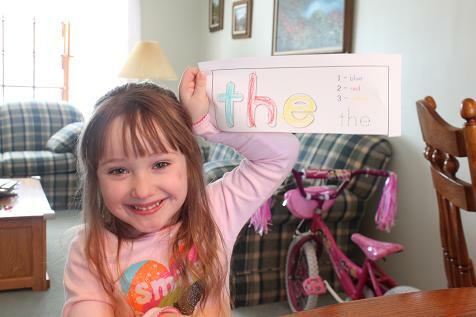 She made the sound for each letter and then said, “Does that say mat?” She was so proud of herself!! And I was proud too!! Stop by Confessions of a Homeschooler to check out her giveaway for the Expedition Earth curriculum she created. It’s amazing!! 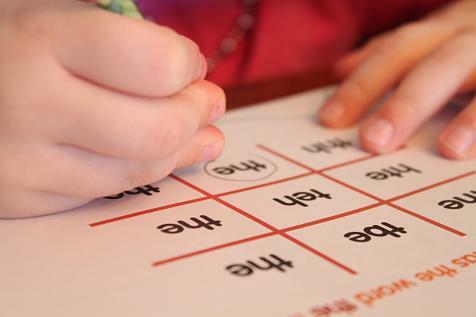 Where did you find the sight word color by number “the”? Or did you make it yourself? I also added the link to my post. I love all your ideas and links to resources! I think we will definitely to the tulip craft. Very clever!